Sadie Claire Dupree was born July 2, 2013 at 6:02 a.m. Her mother, Caitlyn Dupree, 22, was in labor for sixty hours. 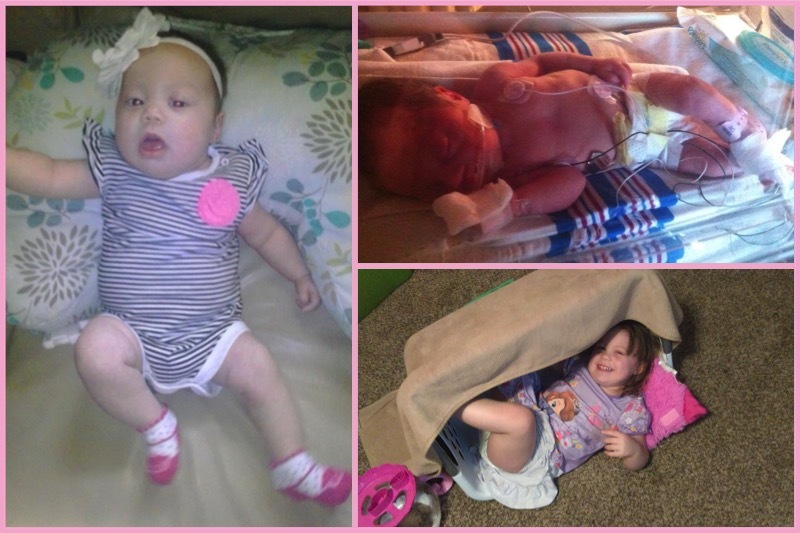 Sadie was six weeks premature. Being premature, Sadie’s first couple of weeks were spent in the hospital. But after a few days of care, Sadie was ready to go home. Caitlyn and her husband, Logan, 28, held their wrapped bundle of joy within their arms and headed for the exit. On the way out, the doctor stopped the happy family and told Mrs. and Mr. Dupree that Sadie had the genetic disorder of Down Syndrome. The young parents were shocked. Stunned. And scared. How does one care for a child with Down Syndrome? How would they afford the medical bills that comes with such care? Will Sadie miss out on driving a car? Hanging out with friends after school? What if she wants to dance, or surf, or save the world? Will she be able to? Caitlyn stayed at home and cared for Sadie while Logan went to work. She spent all of her free time researching Down Syndrome and the special-needs community, something she had never thought of having in her life before Sadie. Caitlyn saw that having a child with special-needs takes tremendous dedication and courage and even more time and money. But she also saw how special special-needs people really are. Sadie might not have the average life most children have, but she would be special like the other children with Down Syndrome. She would be kind and genuine. She would see people without judgement and despite everything, she would always be smiling. Six months later, Sadie was taken to a geneticist. Caitlyn didn't have Sadie tested earlier for DS because the test required a large needle to draw blood from the scalp; Caitlyn just couldn’t do that to her little girl. In the end, it was for the best. Sadie did not have the gene for DS. The doctors made a mistake and had assumed she had DS due to her facial features. Caitlyn and Logan were happy, of course. They are a young working family. DS would have been exponentially harder on the family. But their experience with DS changed them forever.